Why the need for a "will to live"? Download the Will to Live Now!! 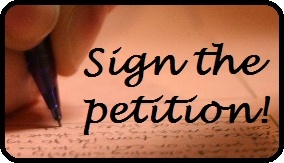 I've heard about a number of other documents you can sign to say you want life-saving medical treatment. Is there any particular reason I should sign the Will to Live developed by NRLC? While written with the best of intentions, some of the other documents are unfortunately insufficiently protective. Often, that is because they are written in a way that tries to set out general ethical principles rather than the sort of very specific directions that are essential in a legal document. An analogy may help to make this clear. Some ethical or religious systems hold that an employer has the duty to give an employee a "just wage." This is fully appropriate as an ethical principle. But what would be the effect of a legal contract that, instead of setting out a specific dollar amount, simply stated that the employee would get a "just wage?" From a legal perspective, the term is so vague that it would be quite unenforceable. What wage the employer would claim was "just" might be far less than what the employee expected to be covered by the term. The same problem arises here. A widely accepted ethical/religious perspective holds that "ordinary" treatment ought always to be given, but "extraordinary" treatment is optional. The difficulty with using such language in a legal document, however, is that it is open to such a variety of interpretations that an effort to enforce it meaningfully in any concrete context would be useless. For example, there are a number of theologians and ethicists who argue that food and water are "extraordinary" whenever patients have certain disabilities. It would therefore be impossible to rely on such language in court to prevent a patient's starvation or dehydration. Of course, such a document could go on to specify that food and water should always be given. But that would still leave uncertain what particular medical treatment was required or rejected by the document. That is why the Will to Live is careful to be very precise and specific, and why the Suggestions that accompany it urge each signer to be equally careful in describing any treatment that is to be foregone under any "Special Conditions." The right to life movement used to oppose living will legislation on the ground, among others, that living wills are unnecessary - that patients, families and doctors can make appropriate decisions without them. So why do we need a document like the Will to Live? When living will bills were first proposed in the 1970's and 1980's, the general consensus and the normal practice of medicine favored life. Food and fluids were almost always provided patients as a matter of course, and life-saving medical treatment was normally provided unless patients were terminally ill and in the final stage of the dying process. Pro-life groups pointed out that living wills were unnecessary to prevent "overtreatment" in the form of medical technology that merely prolonged the dying process, both because the accepted standards of medical practice did not require it and because the doctrine of informed consent enabled patients and their families to reject it without resort to formal written advance directives. In opposing living will legislation, pro-life groups pointed out the vagueness of the language of living wills, the way in which seemingly harmless terms they used were open to a variety of interpretations that could expand the denial of treatment they authorized far beyond the intent of those who signed them. Pro-life groups also warned that the strategy of "right to die" groups was to use living wills to condition public acceptance of assisted suicide, mercy killing, and euthanasia, replacing the then-accepted ethic that the lives of all human beings are of equal and inestimable dignity with the view that the value of human life depends on its "quality." Times have long since changed. Almost everywhere, the pro-life movement lost its fight to prevent enactment of living will legislation. Then, step by step, the vague language in most living will statutes was amended to make explicit their authorization of denial of life-saving procedures in more and more instances. Food and water was added to medical treatment. Denial of treatment was authorized not only for "terminal illness" (itself often very broadly defined) but also for "irreversible conditions" and other euphemisms for permanent disabilities. Most dangerous of all, court after court and then state legislature after state legislature adopted rules allowing denial of treatment and then food and water to older people and people with disabilities who had never signed living wills or otherwise rejected life-saving measures. Just as pro-life groups predicted, the adoption of living will legislation helped achieve a sea change in public opinion--and in the practices of the medical profession. We now see open advocacy –and implementation – of both direct killing and involuntary denial of lifesaving treatment against the express desires of the patient. Especially among health care providers, but also among many in the general public, the "quality of life" ethic has largely replaced the "equality of life" one. The result is that we can no longer safely count on a general respect for life to protect patients, or leave matters to be worked out informally among doctors, patients and their families. The hard reality is that the presumption has now shifted to favor death, not life, for people with significant disabilities. Because these disabilities can happen to any one of us, our relatives, or our friends, it is now essential affirmatively to set down in writing that should we become disabled, we do want the presumption to be for life. Failure to sign a Will to Live is now likely to leave you or your loved ones unprotected, at the mercy of health care providers and courts dominated by those with very different values from a universal respect for human life.